Canteen & BBQ Duty. Nets Up and Down. BLACK ARM BANDS - ALL participants in ALL matches 13-14 April, 2019. Earlier this year, the club farewelled one of its life members, Rob Hamilton. 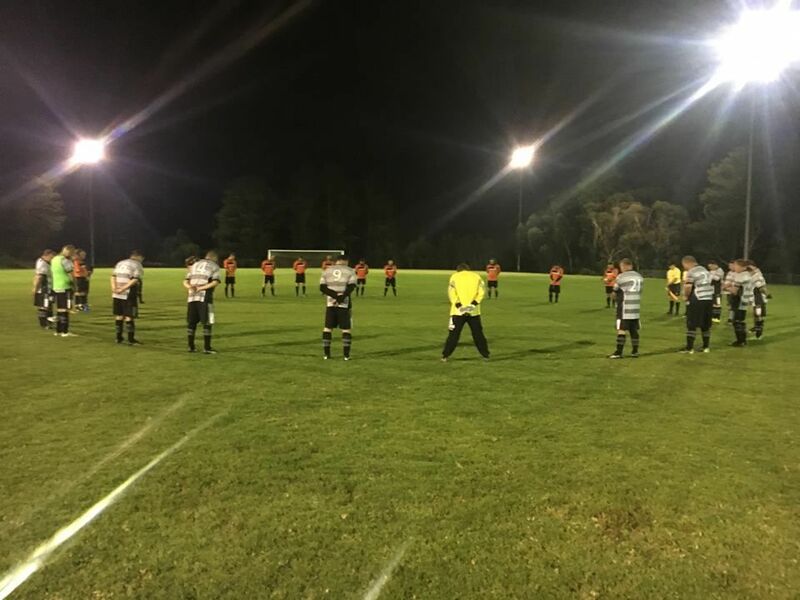 In remembrance of Rob, and as a mark of respect to the man who gave so much of his time and energy to strengthening our club, all club members are requested to wear black armbands during matches this weekend for both home and away matches. Participants are encouraged to observe a minute's silence prior to kick off of their matches as well. Managers are asked to notify the ground official so that the match officials and opposition teams are aware of the significance behind the bands and the requested minute's silence. Rob, this weekend is dedicated to you. 5 April: Mother Nature is playing hard with Football. Word of Warning regarding My Game Guru: NFA data appears in MGG app but is not being updated. Therefore, the app cannot be used as a reliable source of immediate or accurate information. NFA is aware of conflicting information between the two sites. Please rely only upon the information on NFA website. In 2020 CUSC will be celebrating its 40th anniversary. The club is looking at having a new jersey to mark the occasion. Here is your chance to get involved. 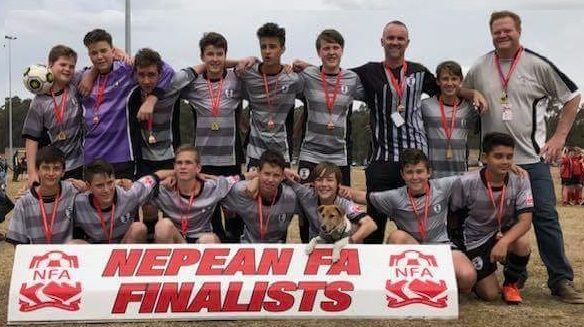 2020 Jersey Design Competition – click here for further information and entry form. Please submit designs electronically in jpeg, pdf or bmp format or in person at Andromeda. Entries close midnight 5th May 2019. Please see full Terms and Conditions. We look forward to many creative designs. ROUND ONE IS NOW NIPPING AT OUR HEELS. Fields are marked. Canteen stocked. Sun is shining. Shorts and socks are in. Here we go! Fixtures for the first 3 rounds have now been published on the Fixtures Tab of NFA website. Please remember to adjust the dates to access the three rounds. Good luck everyone! A timely word of thanks to the club members who have assisted in the process! Your assistance and support are greatly appreciated. Anyone needing shorts and socks can just purchase from Andromeda on the weekend before your games. And ID cards will be available for team managers to collect before their matches too. If you're playing away from home, we'll open up around 7:45am so you can still collect before your game. CANTEEN DUTIES START THIS WEEKEND TOO! Team managers will be asking their teams to help in the canteen. Your time helping in the canteen is very much appreciated. Thanks to those who help to make our club a true community asset. Unfortunately due to the recent wet weather, ANDROMEDA has limited area for training. The Western field is available to use but the Eastern field remains closed. The club thanks its members and the community for their understanding and care for the venue. Thank you Stuart Ayres who has generously provided our club with $7500! 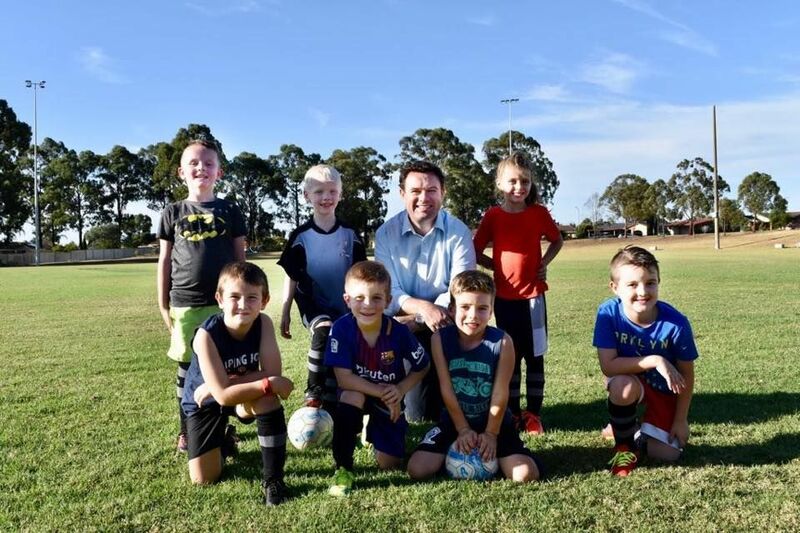 It's great having the NSW Minister for Sport living in our community. He has contributed to many projects for us including his support for the recent top marking of the western field, installation of the stage 2 field lighting, upgrade of the electricity supply and the upgrade of the canteen through the Asian Cup Legacy Fund Grant. It is with great sadness that we advise our club and community members of the passing of one of its life members, Robert Hamilton. Rob played a vital role in the administration of the club for many years and was a frequent visitor to Andromeda since his retirement from the committee. 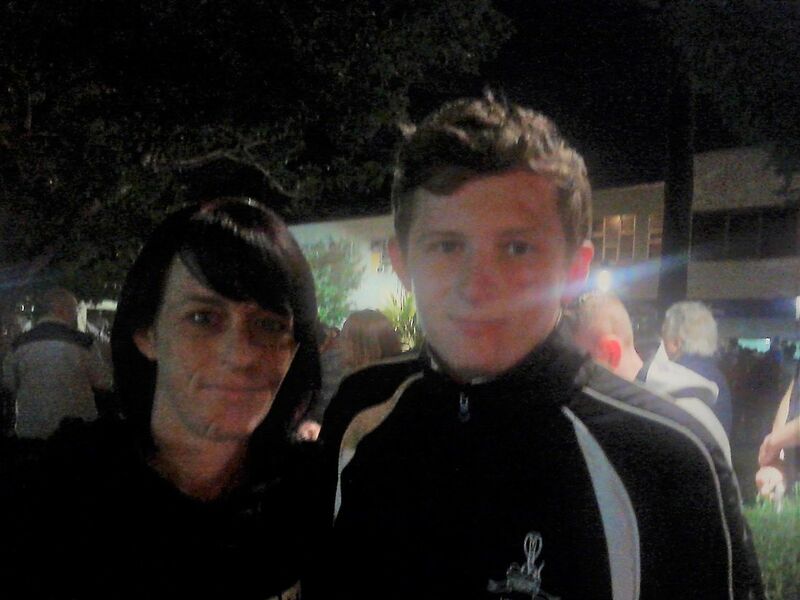 Our heart felt condolences are extended to Cindy and her family at this difficult time. 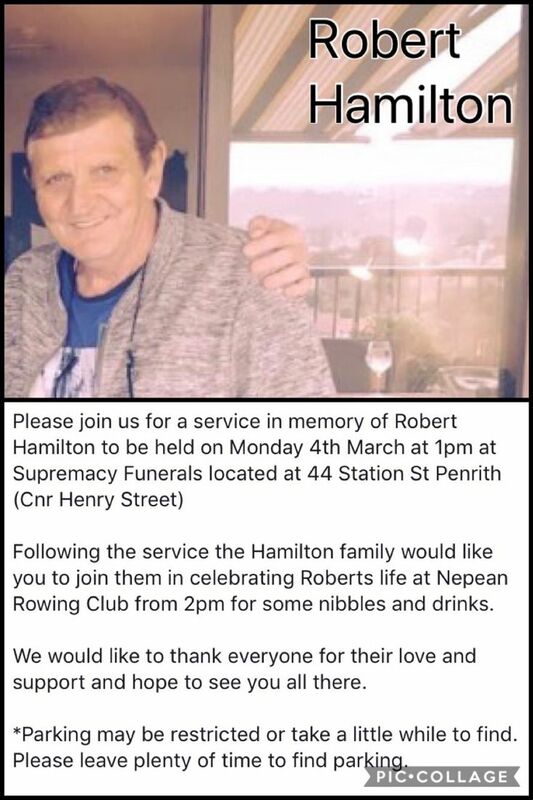 Robert's family invites those who knew him well and wish to pay their respects to join them at the service next Monday. BUILDING A STRONGER COMMUNITY - new members always welcomed. Please contact us to find out ways that you can help build a stronger community through being part of our club. Opportunities for players, administrators and supporters. MASSIVE SHOUT OUT FOR OUR COMMITTEE. Getting the teams on the park - an easy process? Not really. It is very time consuming with many, many hours of behind the scenes work. Without the massive effort, no one plays and there is no club. Thank you to every committee member and club member who has pulled up their sleeves to ensure that the club flourishes for its members and the community. CUFC encourages all coaches to seek accreditation. For 2019, all Kickoff Game leaders, U5-U10 coaches and all Division One coaches MUST be accredited. 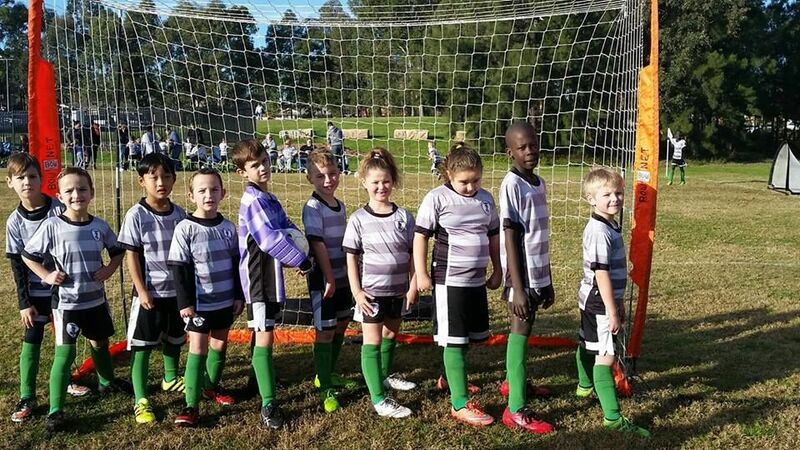 REGISTRATIONS ARE NOW OPEN FOR 2019 WINTER PLAYING SEASON. EVERYONE will need to upload a new photo but luckily it's all mobile compatible so just take a passport style selfie. Reminder to all parents to take advantage of the Active Kids Voucher! 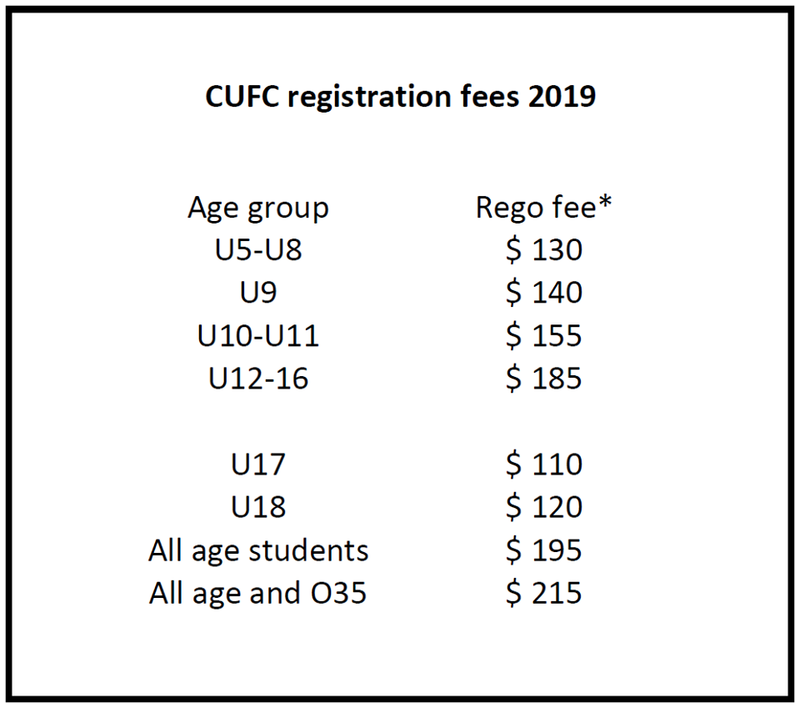 Rego fees for U5-U16 include all match fees! The specified age groups are the age that your child is turning in 2019. E.g. U10 is for children born 2009. 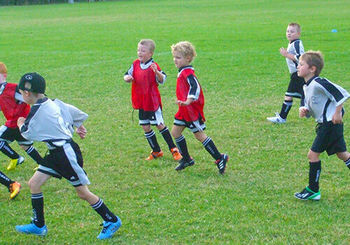 Registrations are also open for our Kickoff Program [U4-U5]. 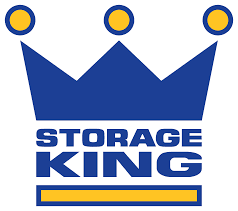 Head to https://membership.sportstg.com/regoform.cgi?formID=83804&programID=44492 to register. Rego fee for Kickoff Program $60. the following people - all Volunteers - for the time and effort they have given to help run the Club this year. ⚽ and to our the sponsors, community members, players & families who supported the club. 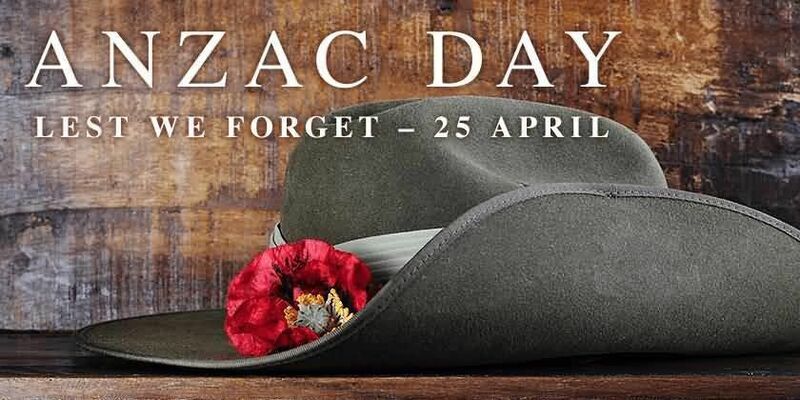 Your contribution is very much valued and strengthens our community and club. THANKYOU! THANKYOU! THANKYOU! Wow! 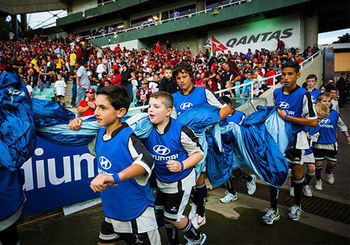 It would be wonderful to be able to bottle the energy and enthusiasm of our youngest club members. 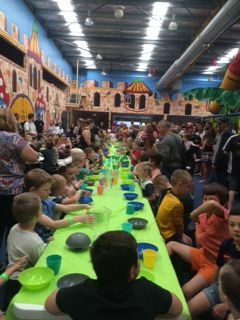 Over 200 members climbed, slid, bounced and played at Go Bananas on 22 September before receiving their trophies and feasting on chips and chicken nuggets. The smiles on the kids' faces was testimony to their enjoyment. As the doors opened, laughter filled the air, welcoming the 115 club members and guests at Peachtree for the 2018 Dinner and Presentation. The night settled into the presentations where team awards were presented and club awards were eagerly anticipated before being presented. Sportswoman of the year: Shanice P.
Senior clubperson of the year: Jai P.
130 junior team competition players changed from kicking balls to bowling balls yesterday at Penrith Bowling Centre for their presentation. The teams came together to celebrate their friendships formed during the year and their achievements in 2018. Many thanks to everyone who joined in to help make the day a success. 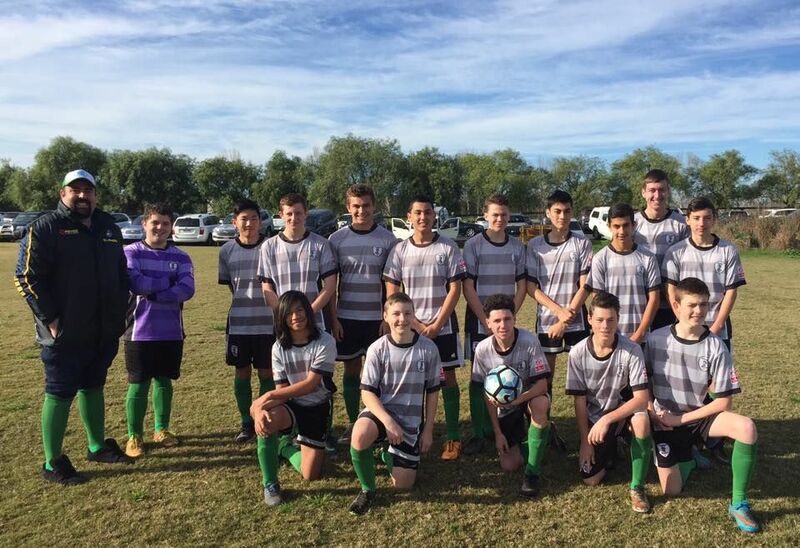 Junior Clubperson of the year: Lachlan T.
Coach of the year: Russell D.
Matthew M., Mark P., Justin D., Jayden K., Daniel K., Connor H., Cody B., Brandon M., and Blake W.
Our sincere thanks for the neverending work you have done throughout the season. 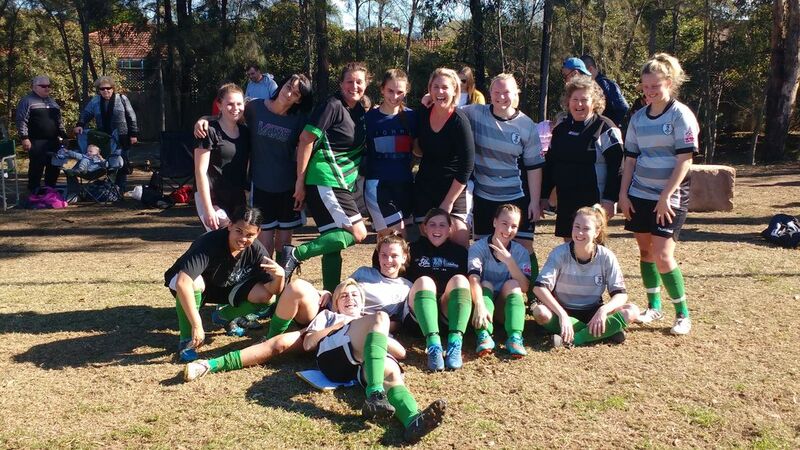 Our U13 Div 2 team focused on one goal - to win the CTS Final, and they did it, defeating Blaxland 3-1 in an awesome match. Congratulations to Russell, Andrew and the boys. You have done yourselves and the club proud. Time to celebrate! Both teams have won their league competitions. Well done ladies. You have demonstrated true sportsmanship along your journey. The smiles on your faces proved to all who saw that your enjoyed playing within your teams. Sincere congratulations! Andromeda Just got a Whole Lot Brighter. The club was very pleased when it received notification that our grant application had been successful. Then came the business of working with PCC and FNSW to make the project come alive. 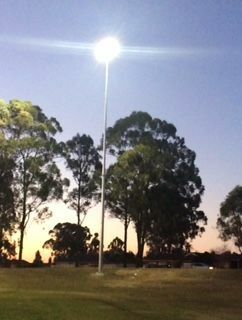 After 10 months, last Tuesday 17 July at 5pm Stage 2 of our night light project lit up as the new lights were turned on. Onward we march! Over the coming weeks, you'll notice EVERYTHING in the canteen being packed away, This is in preparation of the canteen upgrade which is due to start in September and is also part of a successful grant. Andromeda at Zero. Green Weekend. Andromeda just got a whole lot brighter! Yes! It is here. Thanks to everyone who helped make it a reality. Nice to know the club has it if it is needed. Working together, we made this happen! RESPECT is everyone's game winner. The club has a zero tolerance for disrespectful behaviour. As you enjoy our beautiful game, please remember RESPECT is the key word. Show respect to players,club and match officials. Remember it’s their game too. 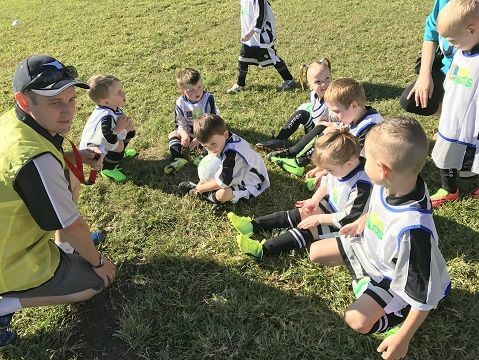 A MustWatch Video for all Football parents. To our active committee members, an enormous THANKYOU. So much work, so many hours, phone calls, emails - your work is appreciated. To our coaches and managers - THANKYOU. You are the cement that builds the teams and holds the teams together. It is important that clubmembers are familiar with the club handbook. Please click here for the 2018 CUFC Club Handbook. Coach education courses are available. Please visit NFA website for details of courses. 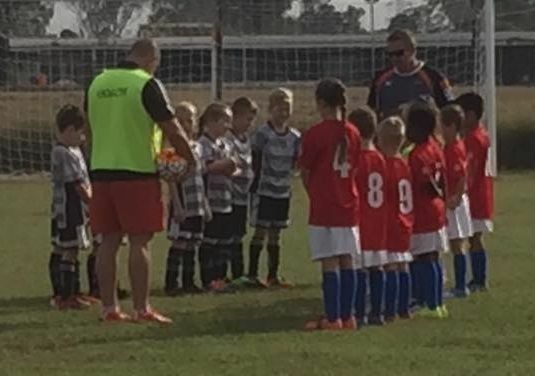 Zero tolerance for abuse: both on the park and the sideline. Please avoid any wet patches or worn patches. Safety for Everyone at Andromeda - click here for the guide. There is to be no training on worn areas, wet areas & in penalty areas. Where possible please use off field areas. HAPPY EASTER! No games this weekend. For the enjoyment, comfort and safety of everyone, club members and spectators are reminded that there are regulations to adhere to. Penalties, including fines and suspensions, apply for breaches of the regulations. * Alcohol is not permitted within 10 metres of the playing area at any time at any ground under the jurisdiction of NFA. * Glass bottles are not permitted at any ground ever under the jurisdiction of NFA. * Alcohol is not permitted at any ground under the jurisdiction of NFA on Saturdays. * Alcohol must not be consumed by any players or team officials during a game or at training. * Some fields have an alcohol free policy. 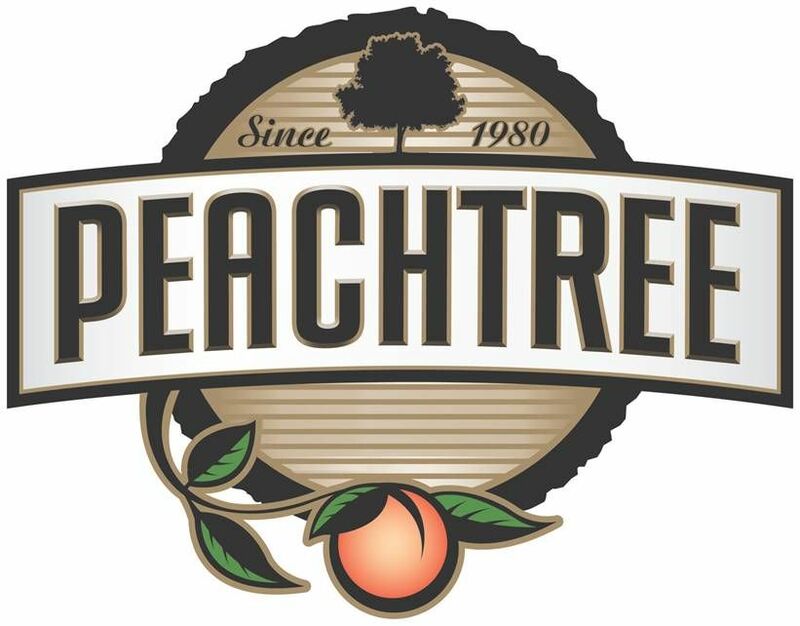 Alcohol restrictions differ from club to club. Please check with ground officials at the venue before you commence drinking alcohol. Smoke Free Environment: Smoking is not permitted anywhere around the fields at any time at any venue under the jurisdiction of NFA. This includes the side lines, the back of the nets, around the canteen area, change rooms or toilets. Successful Asian Cup Legacy Fund Grant Application. CUFC has been successful in its application to receive a grant from the Asian Cup Legacy Fund. Coupled with funding from Penrith CC and contributions by the club, the grant will be used to improve facilities at Andromeda. 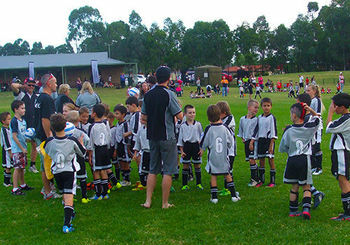 Football NSW and the Office of Sport evaluated over 60 applications, where 16 were successful in securing a grant. 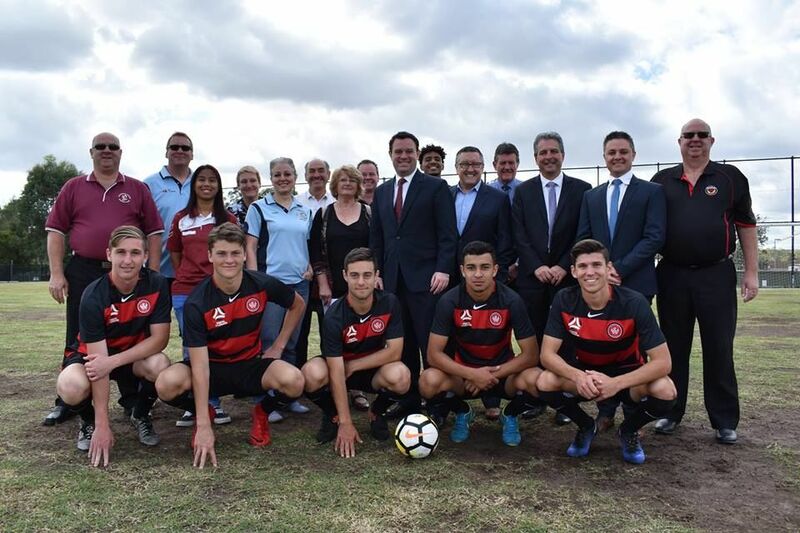 Minister for Sport, The Hon Stuart Ayres, announced the successful applicants on 13 November at a media conference. Club representatives wrote and compiled the application which was supported by PCC and NFA. Thankyou to Mal and David who attended the media conference, and to PCC and NFA for their support. 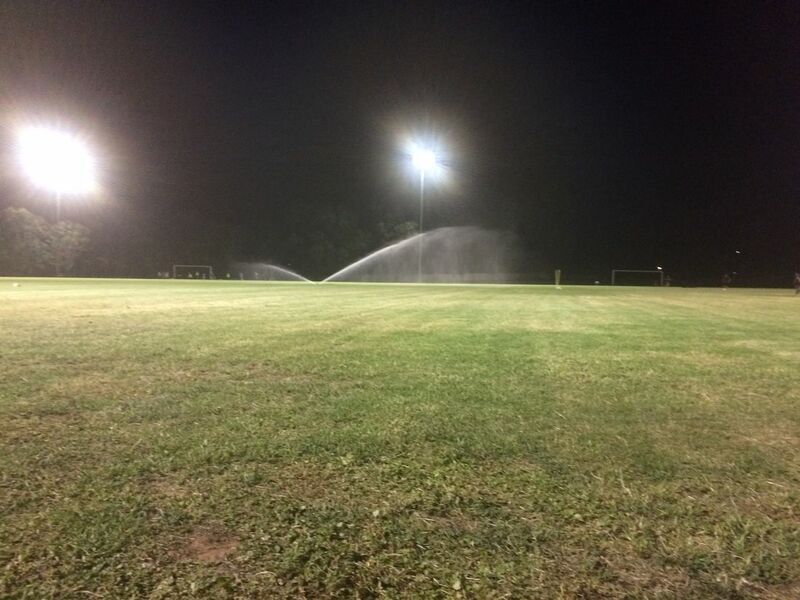 The grant will go towards an upgrade of facilities at Andromeda including the completion of Stage 2 of the night lights, the rebuild of the Western Field and an upgrade of the canteen. 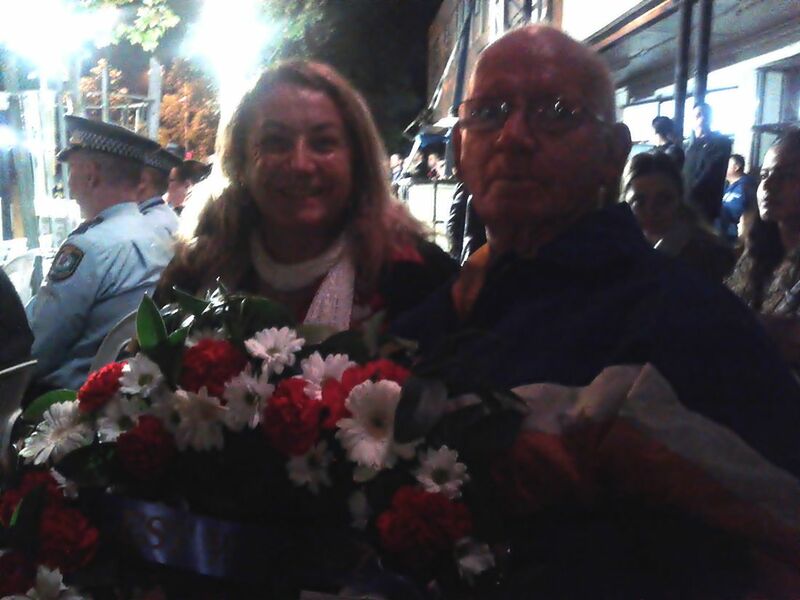 CUSC members join Football Family at ANZAC dawn service in Penrith. 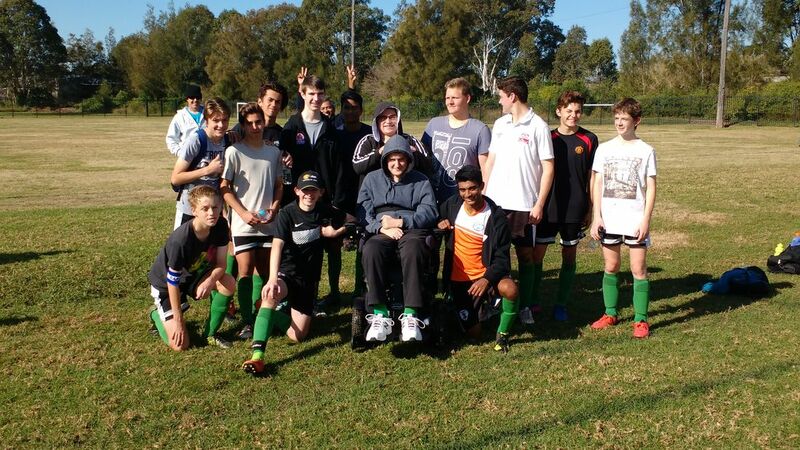 For story with Football NSW please click here. 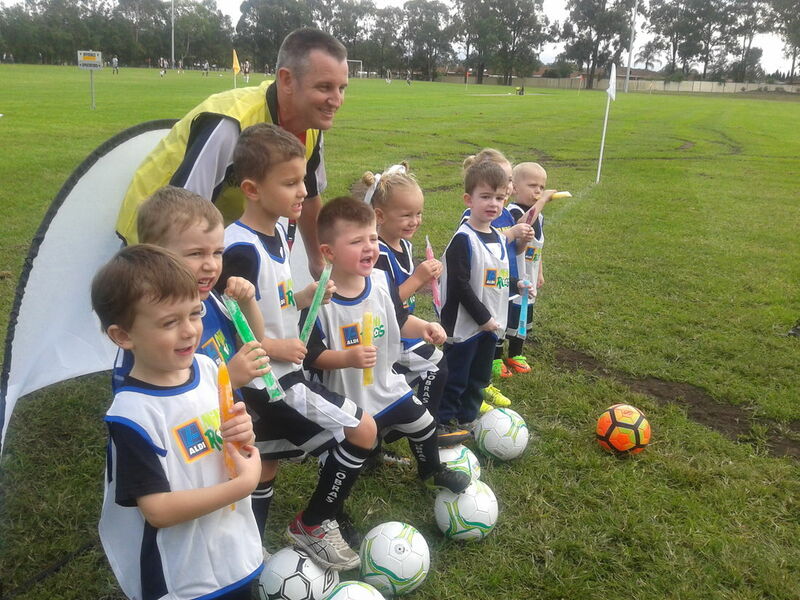 History was made today at Andromeda as the club welcomed for the first time our first U4 members with the Aldi Kickoff program. There were smiles and cheers, and a little apprehension. 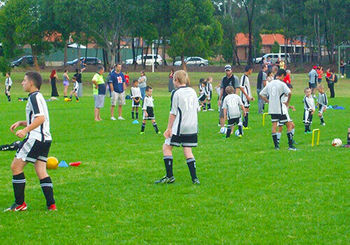 The little ones kicked the ball and participated in fun games, as Brendan guided and encouraged them throughtout their first session. Many thanks to the mums and dads, grandmas and grandpas, aunts and uncles who came along to join in the fun, and cheer the children on. And of course a big thankyou to Brendan. 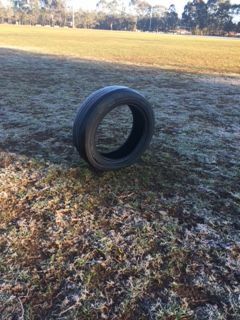 Whilst we wait for the fields to dry out, please help us by keeping an eye out for any activity at either Andromeda or Sherringham which may damage the surface. 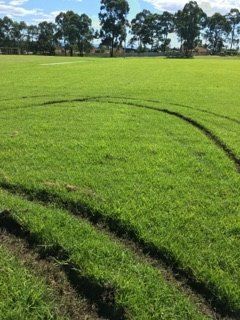 If you have concerns,please contact the club or Penrith Police. Andromeda currently has the eastern field with motorbike ruts which will now have to be repaired. This incident is under investigation with promising leads. If you are driving by the fields, a quick look and any appropriate follow up action would be wonderful. This will help get Andromeda up and running again for the benefit of everyone. A huge shout of thanks to the many people who join together to make Cranebrook Cobras a wonderful club. OUR PLAYERS for without you there would be no club. Keep Calm - on and off the field. All players, coaches, managers and spectators are reminded that there is zero tolerance for the abuse of referees, assistant referees, and Club or Association officials. Abuse need not be physical. It can also be verbal. It is NOT OK to give an official, opposition player or fellow spectator your unsolicited opinion of them, their performance, appearance or affiliated group in general. SPECIAL WORD OF THANKS TO OUR COMMITTEE: As Andromeda comes alive over the weekend, please understand that it does so because of a group of dedicated people - our committee - who put in endless hours of work behind the scenes. Without these volunteers, the venue is just a paddock and the club members are just people. Please stop, smile and say 'THANKYOU'. 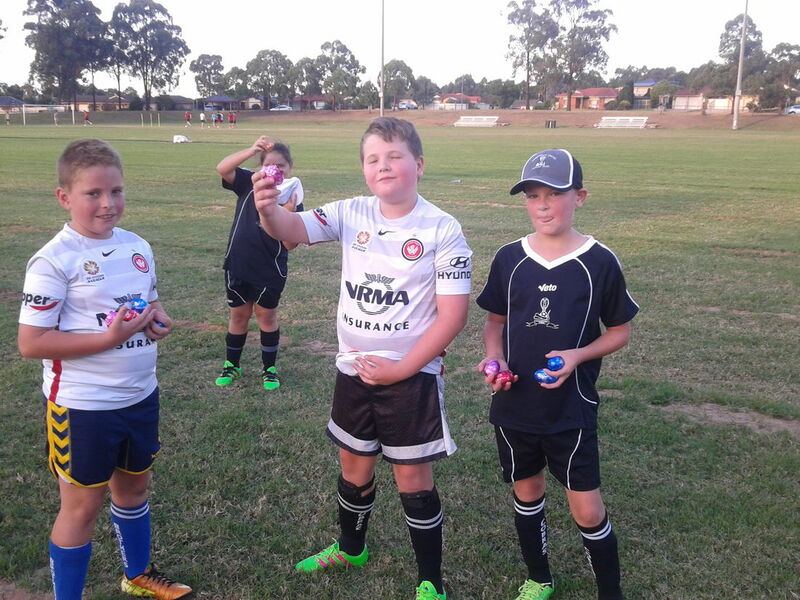 Easter Egg Hunt at Andromeda. Please support the companies that so generously support our club.